Liverpool picked up a 1-1 draw at The Hawthorns in the final game of their Premier League season. With the league having ended on an average note, Jurgen Klopp will look to take his team to victory in the Europa League final on Wednesday night to secure Liverpool Champions League football next season. Jordon Ibe's Goal Jordon Ibe netted his first Premier League goal for the Reds on Sunday afternoon and what a goal it was. Running from practically the halfway line the youngster set his sights on goal and with the West Brom defence backing off, worried to make an approach, Jordon kept his command weaving into the box and scoring the equaliser for Liverpool via a fantastic finish. I was contacted recently by a group of solicitors who were looking to reach people that were present at Hillsborough or were witnesses to the unfolding disaster. I clearly stated in my response to the solicitors that I did not reside in Liverpool but I did have followers/readers from the city and so I wanted to help them if I could. I've always felt it of utmost importance to oust the truth about Hillsborough, especially as somebody living in an area where a lot of people are STILL unaware of the real story and so if this helps in any way possible then fantastic. The Hillsborough Stadium Disaster is something that provokes strong emotions in the heart of most Merseyside citizens, if not the whole of the UK. However, it is an event that has yet to have a clear truth confined to the history books. The TRUTH is finally out and justice WILL follow. May the 96 Liverpool fans who tragically lost their lives at Hillsbrough rest in peace and may they never walk alone. Always in our hearts & minds. On Sunday afternoon Liverpool welcome their fiercest rivals to Anfield. The two sides have met too many times to mention in their history and whilst the rivalry is something that cannot be compared to, on Sunday Anfield will appeal to everyone in the ground, just for a moment, to put that rivalry aside. There's no point me hiding from the fact here on the blog the problems that may arise on Sunday, after all I've never hid anything and will always speak my mind. We all know that both sets of fans have a minority, a minority that for some bizarre reason are determined for the world to see how sick they are, how they have no sense of sympathy for the loss of football fans and players, effectively members of their own sporting family. 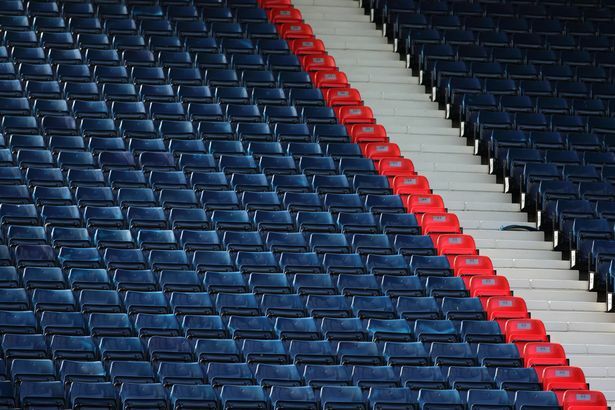 On Sunday there may well be some of the minority present but I know and I am confident that the majority will show the world that as football fans we can unite as one. 23 years in waiting, 23 years just to be told the truth. Today, Wednesday 12th September, finally, the truth was revealed. The Hillsborough Independent Panel produced a report after tirelessly and forensically sifting through over 450,000 documents and what they found was simply shocking. Most Liverpool fans know very well what happened that day, the real truth, but the wider world does not. For 23 years the families, survivors and anyone affiliated with Liverpool Football Club have had mud slung at them. "A lie can travel halfway round the world before the truth has put it's shoes on." as they saying goes but in the face of adversity the likes of the Hillsborough Family Support Group, the Hillsborough Justice Campaign and Hope For Hillsborough NEVER gave up. People never understood, why were they still fighting? "Move on" they said, well today shows you why. It is an incredible twenty two years on but it still feels like yesterday to me. I was one of the lucky ones; I survived the hell that was Hillsborough Disaster. Meanwhile ninety six fellow football fans died on the Leppings Lane terrace. I was there – you can read about that here PassionatelyRed – Still Hurting After all These Years . But the focus of this blog, on which Kirsty has kindly agreed to collaborate with me, is to continue the call for justice for the people lost and their families. 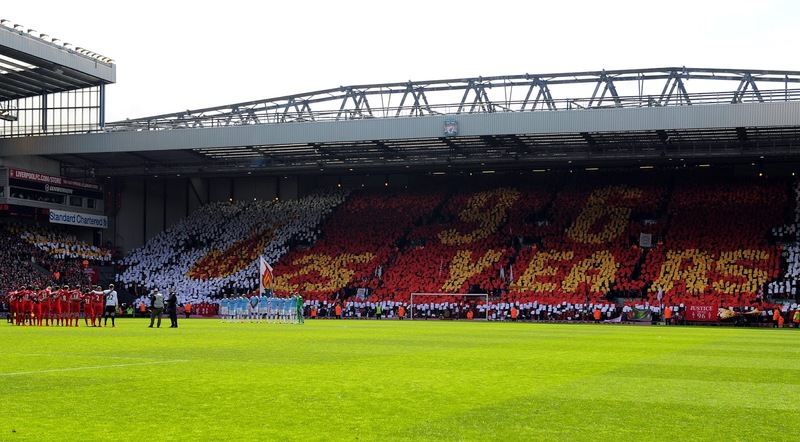 Tomorrow marks the 21st anniversary of the Hillsborough disaster. On April the 15th 1989, thousands of Liverpool supporters on a beautiful April afternoon made their way to Sheffield to watch their beloved football club play in the FA Cup semi final. Nobody that morning when they set out to the game though could begin to imagine the horror that would unfold. 96 Liverpool fans lost their lives that day, 96 friends, 96 people who were a Mother, a Father, a Daughter, a Son, a Grandad, a Grandma, a Sister, a Brother, a Cousin, a Soul Mate, a Friend. 96 people went to a football match that day and never returned. In the 21st century, a disaster so heartbreaking and so preventable is tragic. To make things worse, those 96 friends were not mourned respectfully or with decency. Families were not offered compassion, they were offered lies. 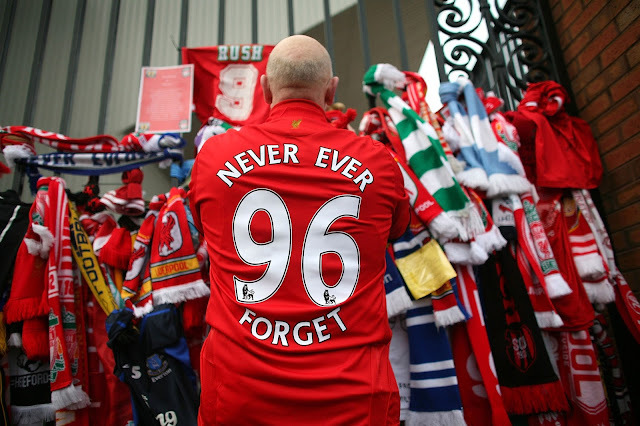 Still to this day, justice for the families and friends of those 96 has not been done.